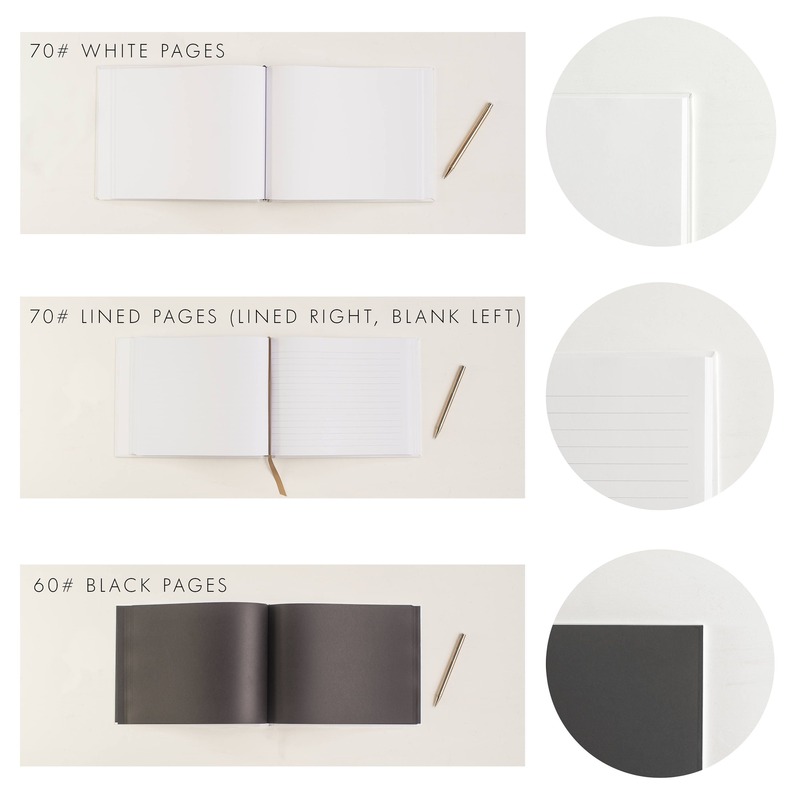 This wedding guest book in a horizontal, landscape format and real silver foil is the perfect mix of trendy and formal. The modern fonts and classic color scheme make a it a great match for your event. 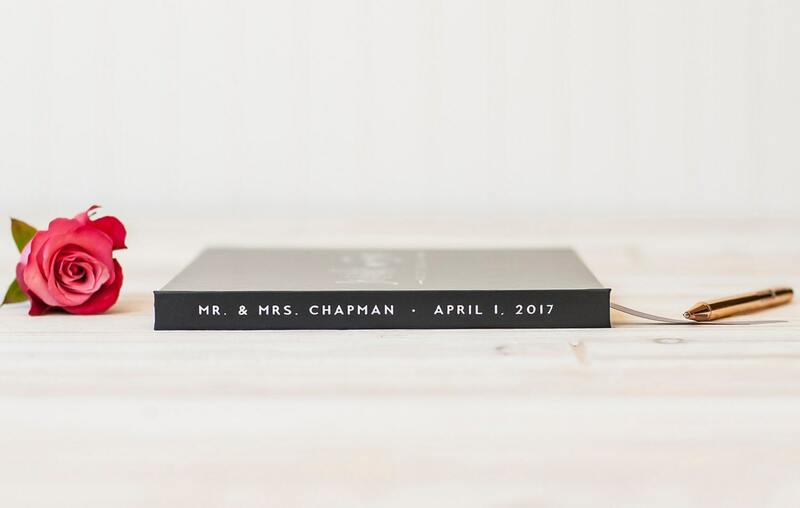 Shown here in real silver foil on a black cover, personalized with your first names on the cover, and celebrating your Best Day Ever with location and date. 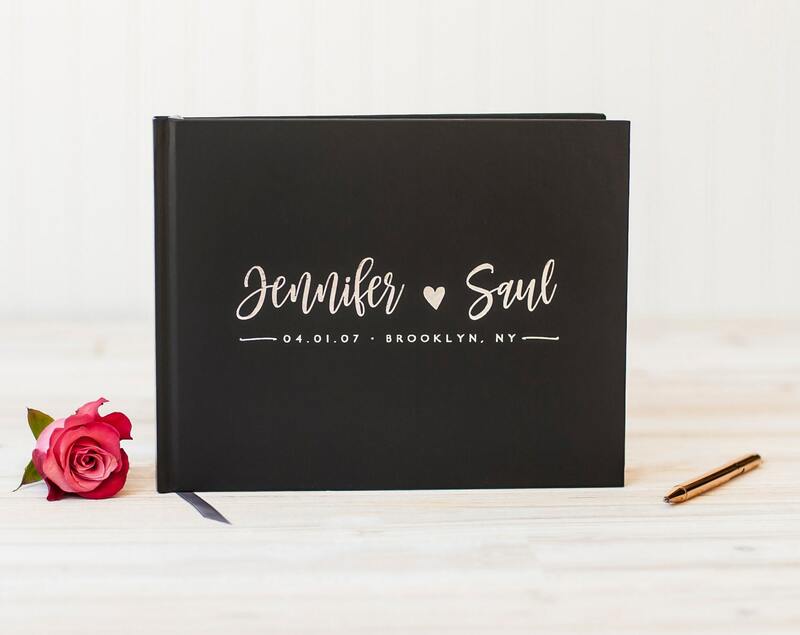 Commemorate your wedding with this keepsake guest book that will collect signatures, messages and photos if you wish from guests at your reception. This design has endless color and foil combinations. 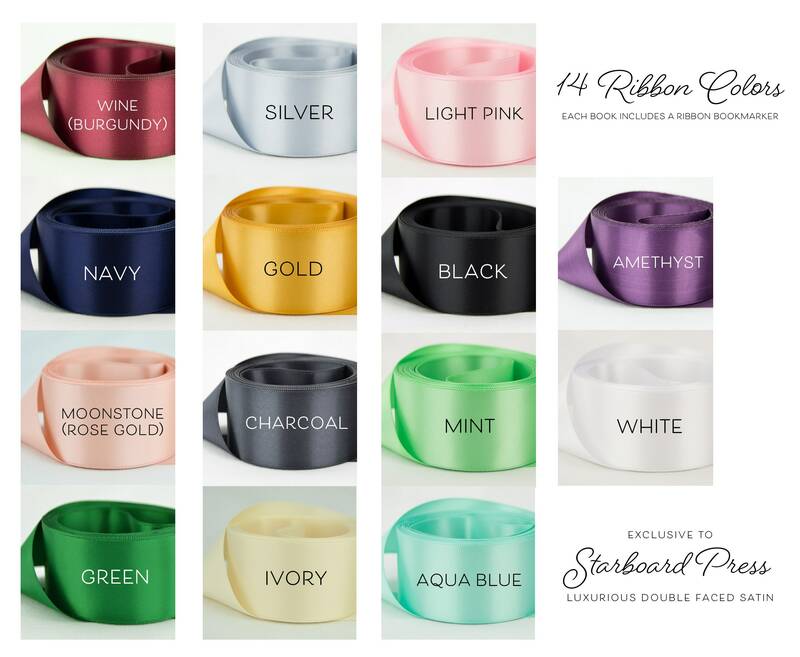 Use our color chart to pick the perfect match to your color palette. 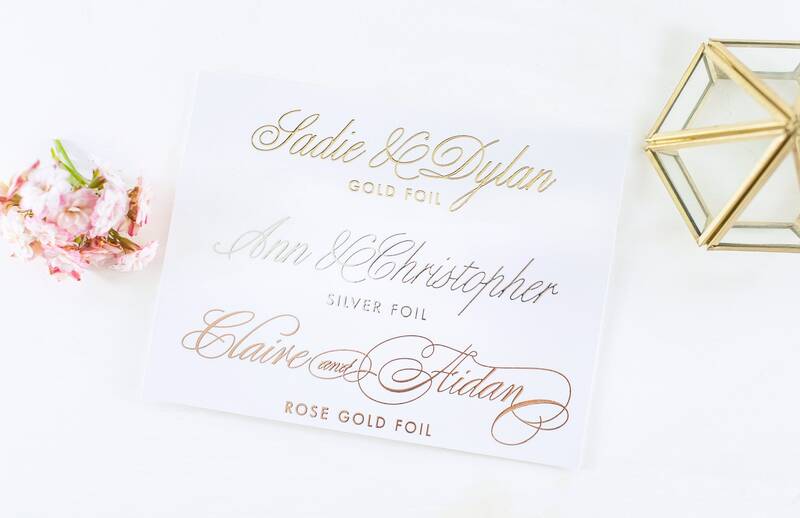 The foil is available in coordinating gold, rose gold or silver. 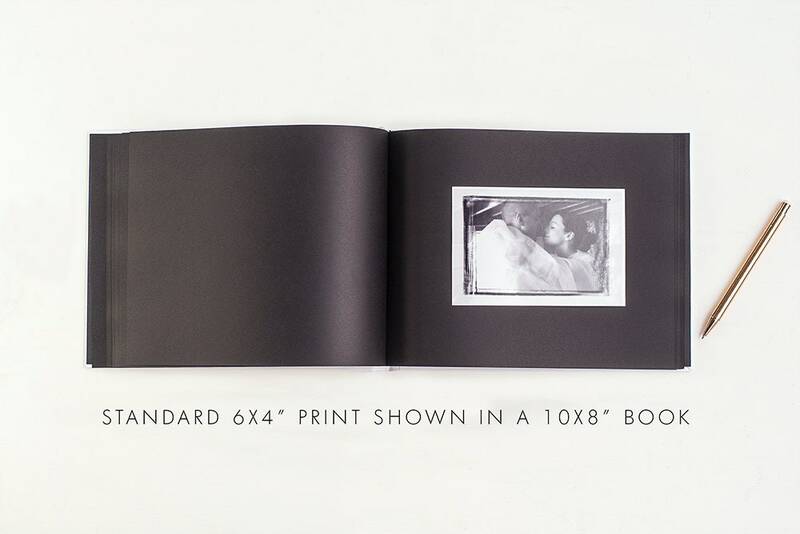 Capture signatures and memories in this casebound hardcover book to remember your wedding day for years to come! 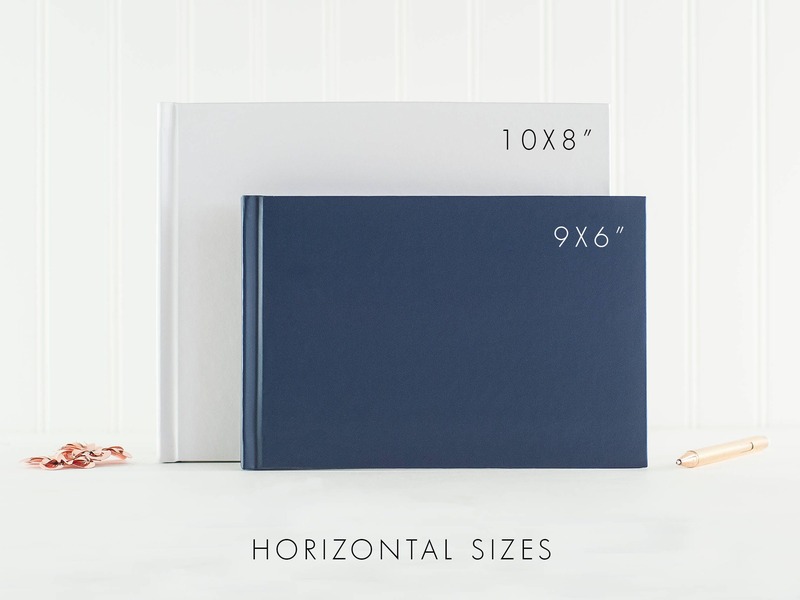 Our hardcover horizontal books come in two sizes; our larger 10x8 size is shown here, perfect for gatherings large or small.